ROOST continues to host online influencers and travel writers so that they can experience our region first-hand. In May, ROOST hosted writer and influencer Archana Singh, with 45,000 followers on her social media channels for Travel, See, Write. 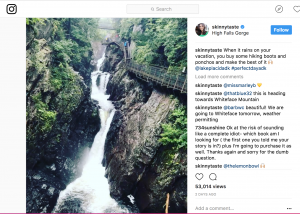 She toured through many of our Adirondack regions, and wrote about her adventures on gonomad.com. This independent travel magazine has 109,000 unique visitors each month and a page rank of 5 as a travel authority site. Her article was posted last week. 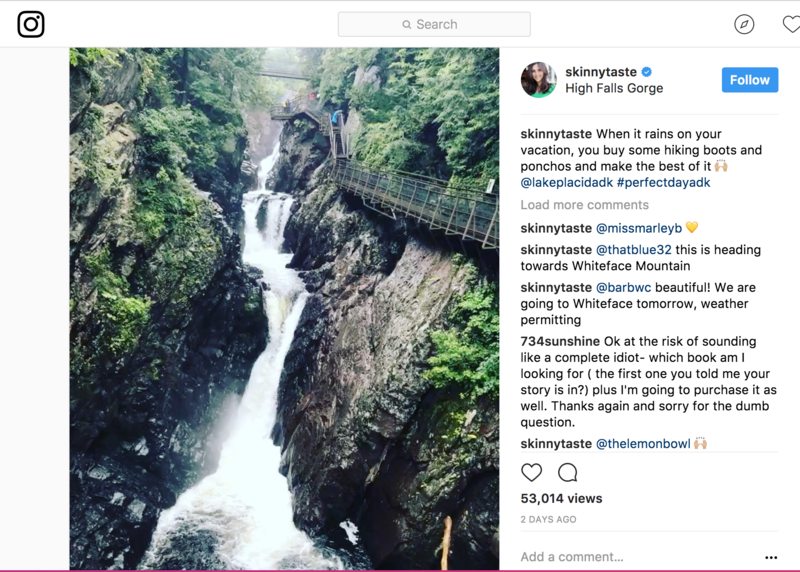 In August, ROOST provided photos for an article in USA Today called New York Road Trips: Top 5 must-see small towns, where they featured Lake Placid. More recently we hosted, in conjunction with I LOVE NY, influencer Gina Homolka, known for her foodie and travel website skinnytaste.com. Gina has 3.6 million Facebook followers, 615,000 Instagram followers, and 46,000 Twitter followers. 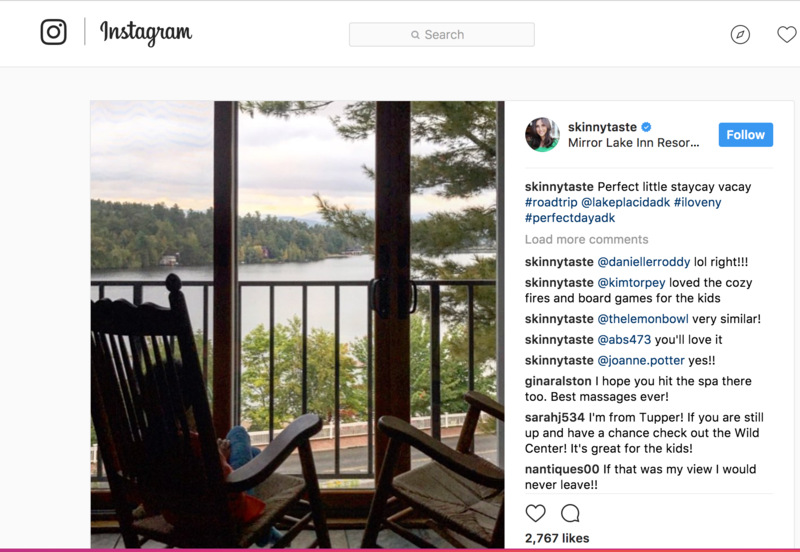 She was sharing photos of our area on social media during her stay over Labor Day weekend. 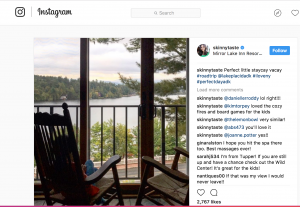 We’ll be sure to share her website travel post once it has been published.